Help your loved ones and friends get affordable and effective home care services. Refer them to us now! While home care is a convenient alternative against institutionalization, it does not have to be expensive either. 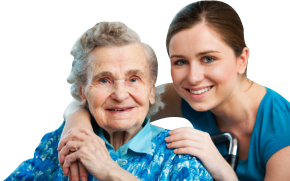 Better Life Home Care provides home care services ranging from a few hours to 24hrs. To know more about what we offer, please click here for more info. To meet with us, you are encouraged to set a date to schedule your appointment with us. Better Life Home Care Services, Inc. Better Life Home Care Services, Inc. has been providing outstanding non-medical home care services in Georgia since 2003. We are an equal opportunity provider and we offer a wide range of care services. Our primary focus is compassion because not only do we provide support to our patients, but to their families and friends as well. You can rely on Better Life Home Care Services, Inc. to be there for you or your loved ones as we provide you with the proper level of care that you need. Our case managers will prepare assessments and care plans for each patient in order to have better insight and give proper focus to you or your loved one’s condition and unique needs. Better Life Home Care Services, Inc. offers many cost-effective payment options, such as Private Pay, Medicaid, Credit Card, Personal Checks and Cash. Our agency, Better Life Home Care Services, Inc. is fully licensed, bonded and insured so you can ease your worries away because with us, you are in the safest hands. For questions, inquiries and more information, you can contact us at 770-953-2444. For a full list of our services, kindly visit our Services page.